Whenever the Prophet (صلى الله عليه وعلى آله وسلم) went to bed every night, he used to cup his hands together and blow over it after reciting Surat Al-Ikhlas, Surat Al-Falaq and Surat An-Nas, and then rub his hands over whatever parts of his body he was able to rub, starting with his head, face and front of his body. He used to do that three times. Whenever Allah’s Messenger (ﷺ) went to bed, he used to recite Surat-al-Ikhlas, Surat-al-Falaq and Surat-an- Nas and then blow on his palms and pass them over his face and those parts of his body that his hands could reach. And when he fell ill, he used to order me to do like that for him. That the Messenger of Allah (ﷺ) said: Get together. for I am going to recite one-third of the Qur’an before you. And those who could get together gathered there. Then the Messenger of Allah (ﷺ) came out and recited:” Say: He, Allah, is One.” He then entered (his house). Some of us said to the others: Perhaps there has been some news from the heaven on account of which he has gone Inside (the house). The Apostle of Allah (ﷺ) again came out and said: I told you that I was going to recite one-third of the Qur’in; keep in mind, this (Surah Ikhlas) is equivalent to one-third of the Qur’an. Messenger of Allah, (ﷺ) appointed a man in charge of an army unit who led them in Salat (prayer); he always concluded his recitation with Surat Al-Ikhlas: “Say (O Muhammad (ﷺ)): ‘He is Allah, (the) One. 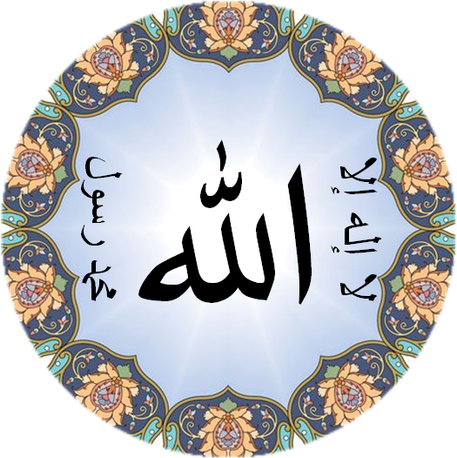 Allah-us-Samad (Allah – the Self-Sufficient). He begets not, nor was He begotten. And there is none equal or comparable to Him.”‘ (112:1-4) Upon their return to Al-Madinah, they mentioned this to Messenger of Allah (ﷺ), who said, “Ask him why he does so?” He was asked and he said, “This Surah contains the Attributes of Allah, the Gracious, and I love to recite it. Messenger of Allah (ﷺ) then told them, “Tell him that Allah loves him”. * It appears that the speaker is Ja’far bin Muhammad who is narrating from his father, from Jabir. **And they say that the meaning if ‘your furniture’ or, ‘your special place’ in which case the objective is to say that the wife is not to admit anyone in the house whom the husband would be displeased with. He is Allah, the One” (Surah 112). We went out one rainy and intensely dark night to look for the Messenger of Allah (ﷺ) to lead us in prayer, and when we found him, he asked: Have you prayed?, but I did not say anything. So he said: Say, but I did not say anything. He again said: Say, but I did not say anything. He then said: Say. So I said: What am I to say? He said: Say: “Say, He is Allah, One,” and al-Mu’awwadhatan three times in the morning and evening; they will serve you for every purpose. Whenever the Messenger of Allah (ﷺ) went to bed, he would blow upon his hands recite Al-Mu’awwidhat; and pass his hands over his body. The Holy Prophet sallallahu alaihe wasallam as saying, “If anyone recites two hundred times daily, Qul huwallahu ahad the sins of fifty years will be wiped out, unless he is in debt.” Tirmizi and Darami transmitted it. The latter version has ‘fifty times’ and he did not mention ‘unless he is in debt’. 112.35 Whoever recites surah ikhlas 10 times after every fardh salah he can enter jannah on the day of judgement from any door he wishes and will get any hoor he wishes. 112.39 A man complained of poverty and constrained circumstances to the Messenger of Allah (Allah bless him and give him peace), so he said (Allah bless him and give him peace), “When you enter the house, say the salams whether or not anybody is present, send blessings upon me, and then recite ‘Say, ‘He is God the One…” once.”” The man did so, and Allah rained sustenance down upon him until he spent upon his neighbours and relatives. 112.41 That a man once complained to the Prophet (peace and blessings of Allah be upon him) of poverty and restricted living conditions. So the Messenger of Allah said to him:‘When you enter the home, then perform Salam [on the inhabitants] if someone is home. And if no-one is home then perform Salam upon me and recite Surah Ikhlas once.’The man began to perform this practice, and as a result he became so rich that the wealth over-spilled to his neighbours too. (Tafsir al-Qurtubi, Under the commentary of Surah al-Ikhlas). “If Allah Almighty had wanted to punish the Ummah of Sayyiduna Muhammad sall Allāhu ‘alayhi wa sallam he would have never blessed them with [the month of] Ramadhan and Sūrah al-Ikhlās.